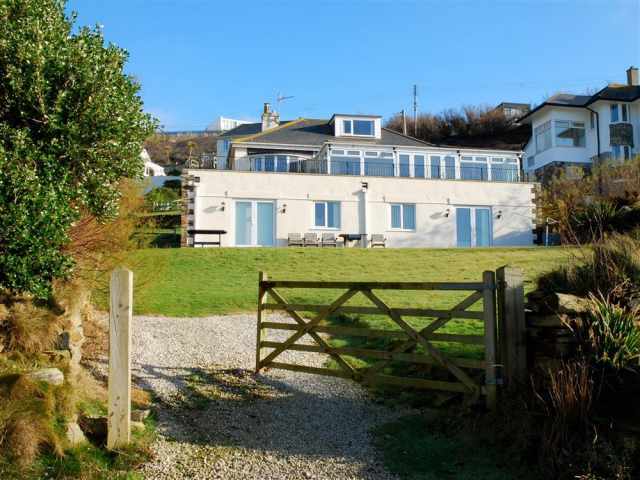 This property welcomes two small or medium size dogs. 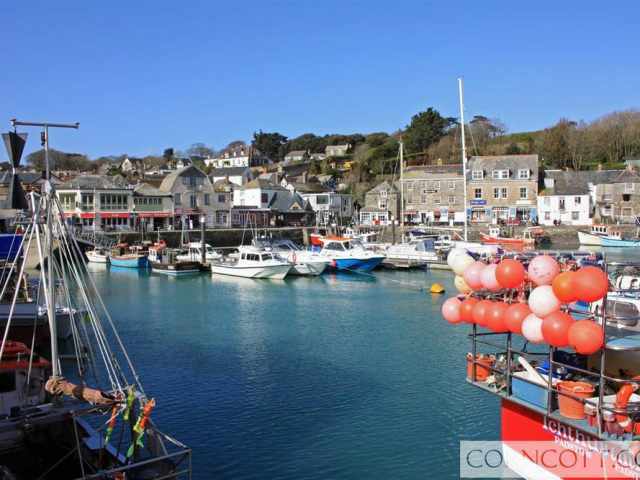 With stunning sea views and direct access on to the South West Coast Path, this first floor apartment is one of four apartments converted from a spacious former detached house. 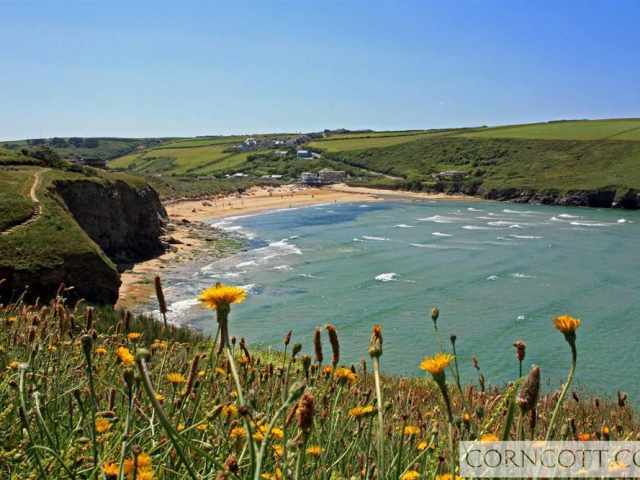 Set in an elevated position above the cove at Mawgan Porth mid-way between Newquay and Padstow on the North Cornish Coast, this is an ideal position for exploring the dramatic coastline and just a two minute walk to the popular family and dog friendly Mawgan Porth beach. 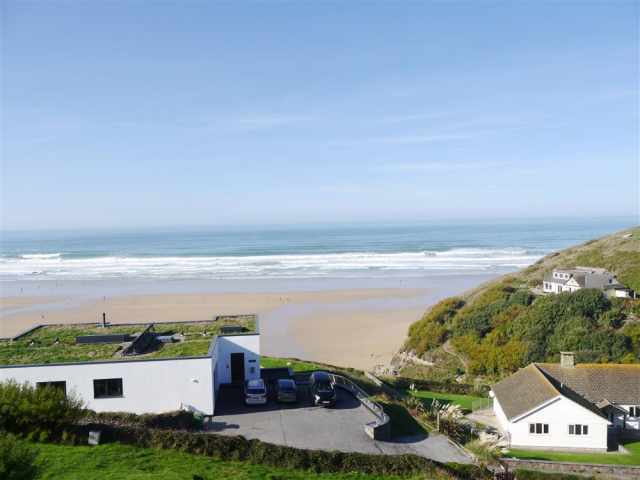 The village of Mawgan Porth is a five minute walk along the beach or half a mile by road and has a pub, newsagent and small store. 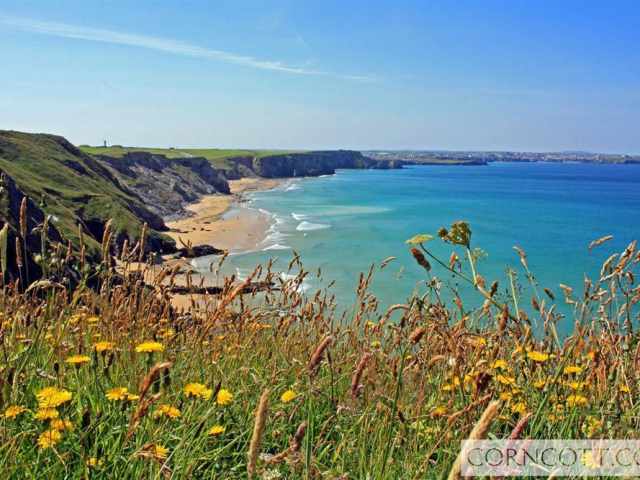 For a wider selection of amenities, follow the picturesque coast road to either Padstow 8 miles or Newquay 6 miles. 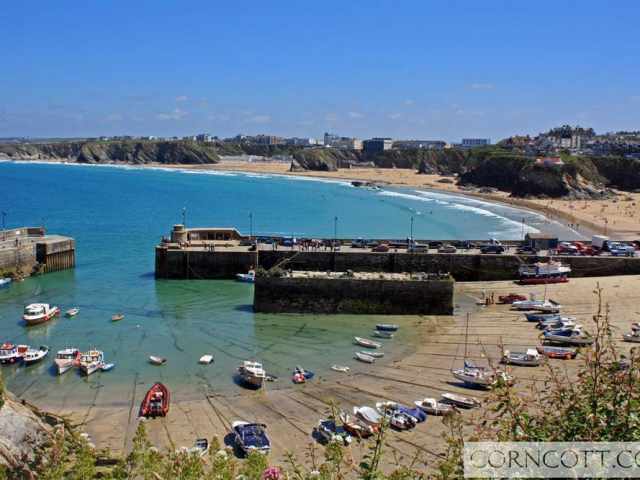 There are some spectacular cliff walks along the coastal path to Watergate Bay and Bedruthan Steps, and also a delightful walk inland through the Vale of Lanherne to St Mawgan. The renowned Scarlet Hotel is located just along the road and has a premier day spa and restaurant available to non-residents (booking advisable). Merlin golf and country club is just a couple of minutes drive away offering a 18 hole hilltop and heathland golf course, driving range and clubhouse (club hire available). Entered from the shared driveway with private parking for one vehicle, a pathway and series of shallow steps lead to the small flight of concrete stairs that lead up to Seahorses on the first floor. A half glazed door leads into the well equipped kitchen with ample storage and work surface space provided. Through the kitchen is the good size living and dining room with comfy easy seating to take in the amazing views! The living space is efficiently heated by night storage heating. Off the living room is a small hallway where both bedrooms and family bathroom WC can be found. There is a pretty twin bedroom to the rear with 2'6 single beds and blackout blind. To the front is the double bedroom with ample hanging and drawer space and yes you've guessed it, more amazing views! 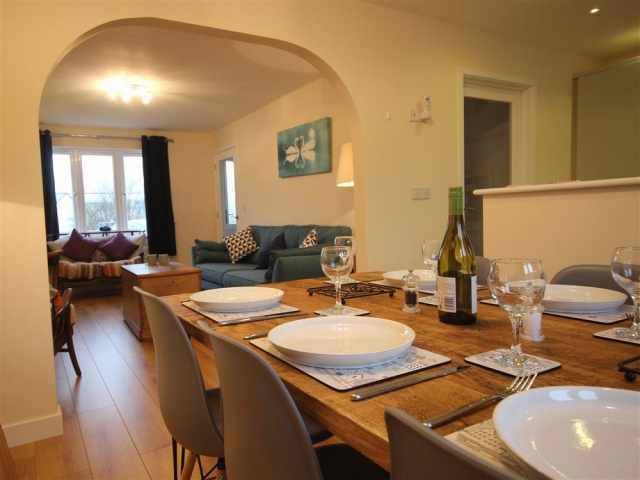 Both bedrooms have laminate flooring and are independently heated with wall mounted electric heaters. The fully tiled family bathroom WC comprises of a wash basin, heated towel rail, corner bath with handheld shower attachment and overhead electric shower with screen. The bathroom has non slip vinyl flooring and plenty of space for toiletries. Once inside, the apartment is set out across one level with no internal steps. Outside to the rear of the apartment is a small grass terrace with furniture provided for Seahorses guests. 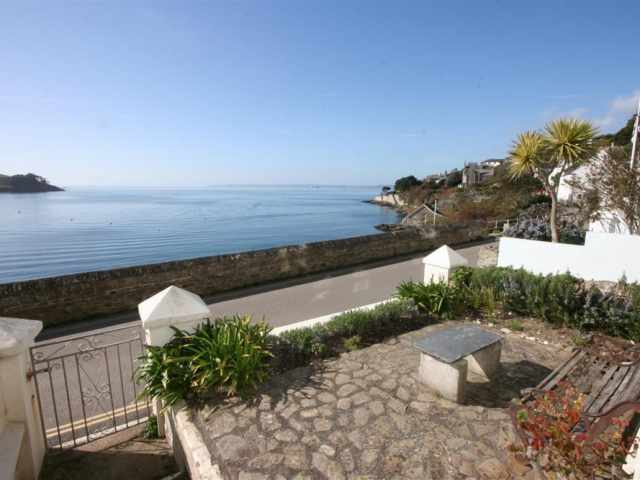 The grass terrace can also boast views down to the sea and beach below. 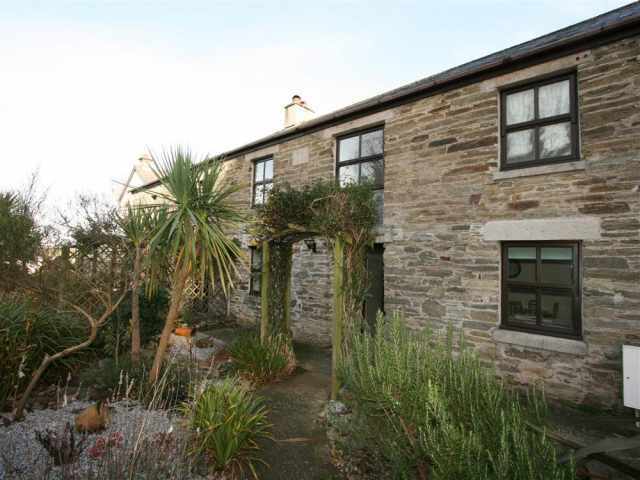 If you are holidaying with friends and need EXTRA SPACE then have a look at DOLPHINS LEAP - next door.